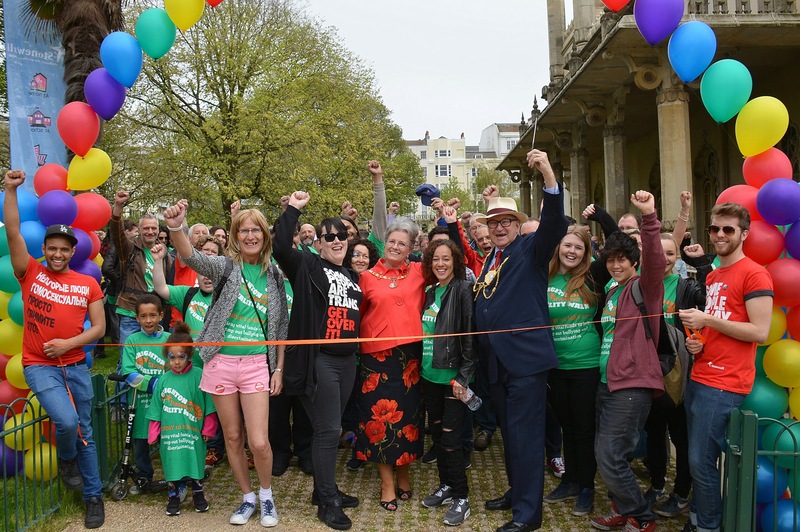 The Stonewall Equality Walk is a sponsored challenge in Brighton where hundreds of people gather together to make a difference for Lesbian, Gay, Bisexual and Transexual (LGBT) equality. Stonewall has been working for equality since 1989 and since then they have helped to achieve full legal equality for lesbian, gay and bisexual people in the UK. The walk was attended by the Mayor and Mayoress of Brighton, Councillor Brian and Mrs Norah Fitch.